The back of the Advance Reader’s Copy says this book is “Edward Scissorhands meets Catcher in the Rye.” What an interesting way to describe a book, and that phrase definitely sucked me in. It was totally accurate. 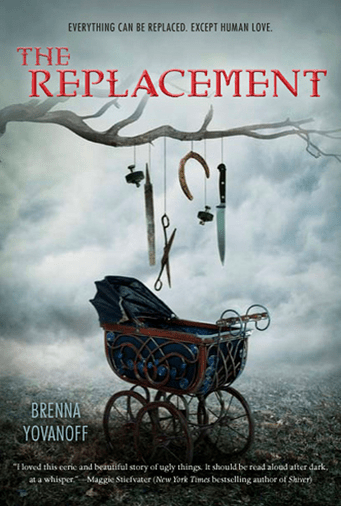 Though there is a lot of exciting fantasy happening, The Replacement is a dark, personal story that at the end of the day is all about wanting to belong. It starts out with the main character, Mackie Doyle, in high school on blood drive day. He has a strong aversion to the smell, and I immediately thought, oh no, another vampire book. Considering how saturated that vein has been lately, I wasn’t sure what this book could say that hadn’t been said before. I’m really happy to say, boy was I wrong! The premise of this book is the story that fairies take human babies and replace them with their own, sickly young ones. This is not a new idea; the concept of a Changeling, as these creatures are known, was a large part of Western European folklore. And usually stories with these elements revolve around the humans who want their baby back. But what makes this book unique from the beginning is that it is from the point ofview of the Changeling. Mackie is the one who was left behind. And through him this book tackles the concept of what it’s like to be so different from others, and the overwhelming feeling of wanting to fit in. He has physical reactions to stainless steel and iron (even the small amount of iron in blood), to the point where every day he’s sick. He can’t even go to church to hear his preacher father speak on Sundays, since he physically can’t step onto consecrated ground. And of course there is the supernatural element. He’s confronted by mysterious strangers who know about his sickness and offer ways to make him better, if he’d just trust and follow. And the world he’s brought into—his true world—is filled with all sorts of creepy beings. 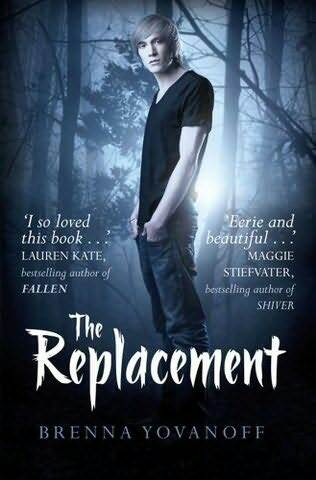 The Replacement was a wonderfully refreshing read, focusing on the internal struggle of Mackie as he goes through the pains of being a teen (including wanting to kiss his high school crush—who has a stainless steel tongue ring!). It was a bit slow in parts, but marginally, nothing that would prevent me from recommending this book. I really feel that Yovanoff has done something wonderfully unique with an old story idea. And the ending was awesome, which is critical. I had no idea how Mackie was going to get out of the situation he was in, and I didn’t see it until I was right on top of it. If you have an interest in fairy stories, or if you like lots of internal struggles and development, this is a good book to add to your to-read list. I’m not sure if there will be a follow-up—it definitely works as a stand-alone—but if there are more in the future, I will be one of the book-lovers in line to read them. Previous post“Halo” And Orson Scott Card Book Giveaways on Tor.com! Next postRead all of the New “Emily the Strange” Free Online!